South Korea is planning to develop a new train-like means of public transportation that will be able to reach 1,000km per hour (621mph), almost the speed of sound. 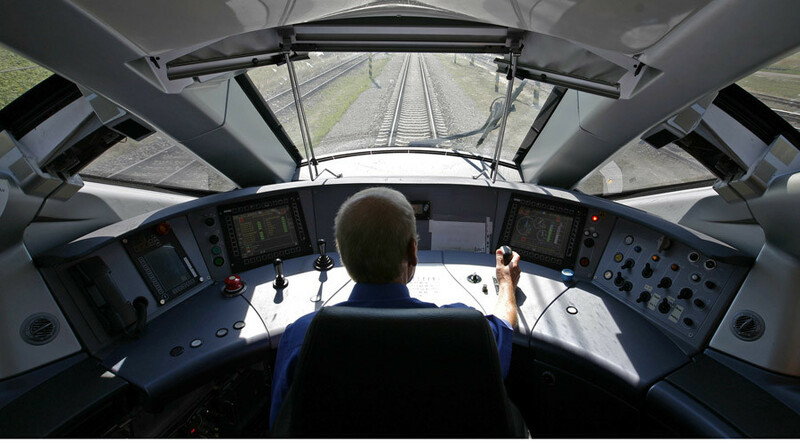 “We hope to create an ultra-fast train, which will travel inside a state-of-the-art low-pressure tube at lightning speeds, in the not-too-distant future,” a Korea Railroad Research Institute (KRRI) official told the Korea Times on Tuesday. He said the state-run institute will join forces with other research groups and Hanyang University to develop the new ground transport within the next three years, which would be able to travel from Seoul to Busan in half an hour, instead of the current time of three hours. Hyper-tube technology, mentioned by the official as one of the formats the new project will be based on, is a mode of passenger and freight transportation that propels floating pod-like vehicles through tubes under a partial vacuum at speeds greater than a passenger jet – up to 800mph. The technology was first proposed by Tesla Motors CEO Elon Musk, but now the open-source technology is being developed by a number of companies, university students, and independent engineers. 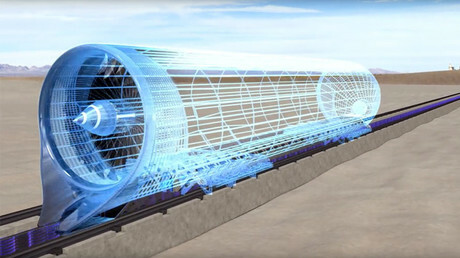 US-based Hyperloop took the lead last year by raising $80 million for development, and is currently working to make the futuristic mode of transportation a reality. In May last year, it conducted its first ever propulsion open air test in the Las Vegas desert along a half-mile track. “Many countries such as the United States, Canada, and China are competing to take the lead in this futuristic technology and we will also try to pre-empt our global rivals,” a KRRI official added. The KRRI noted that there are drawbacks to hyper-tube technology, stating it is vulnerable to engineering flaws. For instance, if the tube is damaged in a natural disaster or an explosion, the pods travelling through it would crash due to the loss in negative pressure, resulting – at the speeds the technology aims for – in tragedy. The Institute, however, plans to look for ways to overcome these challenges, the official told the news outlet. If the development proves successful, it will be twice as fast as the fastest existing ground transport in the world – the magnetic levitation (maglev) train, which uses magnetic levitation to move the vehicle without contact with the ground. With magnetic levitation, the vehicle travels along a guide way using magnets which create lift and propulsion, reducing friction and allowing very high speeds. Maglev trains can travel at speeds of up to 500km per hour. The first maglev in commercial operation was a low-speed shuttle that ran between the airport terminal of Birmingham International Airport and the nearby Birmingham International railway station between 1984 and 1995. In December 2015, the first maglev train line construction was launched in Japan – it is set to be finished and ready for operation by 2027. In China, the Shanghai Maglev Train, or Shanghai Transrapid, is the third commercially operated high-speed magnetic levitation line in the world and is currently the fastest. Maglev trains cannot, however, compete with hyper-tube trains in speed – while both technologies have no friction, maglevs are significantly slowed by air resistance, while hyper-tubes travel in a vacuum and can attain speeds almost twice that of maglevs.